While the Calgary Flames have begun their rebuild on the ice, an even more extensive revitalization of the club as been underway off the ice. The process began in September, when the Flames scored quite an executive coup, luring Brian Burke to the organization to become the team’s first president of hockey operations. 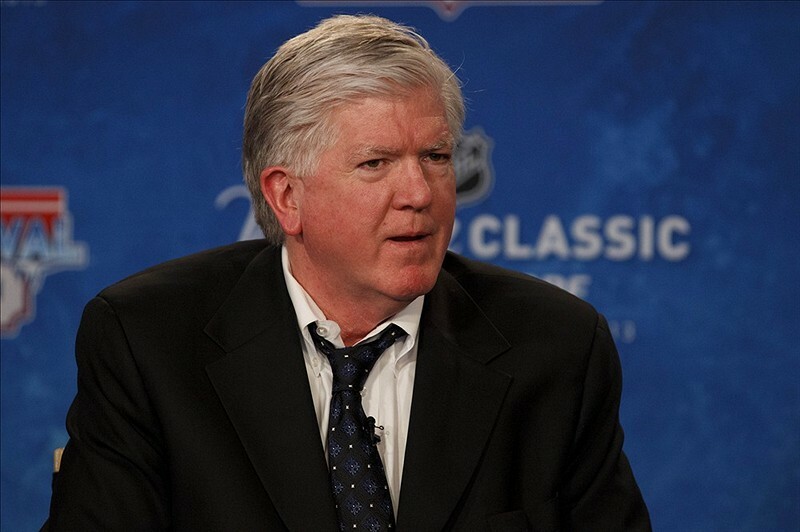 If you want to send a message to the hockey world that your organization is serious about doing things differently, you hire a guy like Brian Burke with a Stanley Cup ring, an extensive executive track record and connections all over the league. For the rest of the front office, the Flames recent additions have been much lighter on NHL experience than Burke. Rather than tap somebody with previous experience as a general manager, Burke hired Phoenix Coyotes assistant GM Brad Treliving as Calgary’s seventh permanent general manager. The move has some echoes of the club’s hiring of Craig Button in in 2000 – both were considered rising stars in the league when hired. But in 2000, the Flames didn’t really have a veteran hockey mind to guide Button as a mentor. Now? Treliving’s in his first stint in the big chair, but he boasts an extensive resume as a hockey executive in different capacities and has Burke to bounce ideas off of. Just announced underneath Treliving as assistant general managers are Brad Pascall and Craig Conroy. Pascall was considered by some to be the heir apparent for the top job at Hockey Canada, as Bob Nicholson had vacated his position as president to reportedly pursue NHL opportunities. Pascall oversaw hockey operations and national teams as a vice-president, so he oversaw or was involved in many aspects of the national team programs. Previous to that experience, he played in the AHL, ECHL and NCAA. He may be better known to the general public as Cassie Campbell’s husband, but he was reportedly pursued by many NHL clubs with job opportunities. Craig Conroy boasts much more NHL experience than Pascall, playing 1009 games between Montreal, St. Louis, Los Angeles and Calgary. Since retiring in 2011, Conroy’s served as special assistant to general manager Jay Feaster (and was retained in that position after Feaster got axed this past December). Conroy’s job was rather open-ended, involving him in scouting, coaching and overseeing the Abbotsford Heat. Each man’s duties haven’t been fully-formed yet – Treliving indicated that Pascall would likely oversee the development system, including the AHL’s Adirondack Flames, while Conroy will be involved with scouting – but as they enter the second year of the organizational revamp, it appears that every level of the hockey club will be analyzed and targeted for improvement. 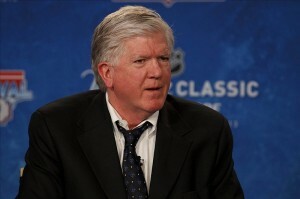 Luckily for the off-ice hockey operations team, they have an experienced mentor in Brian Burke.